The Electric Universe project was founded in 1991 in Hamburg, Germany. 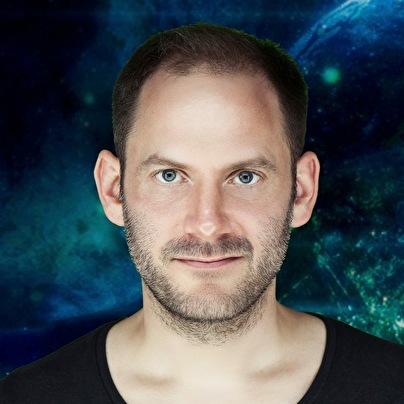 Being inspired by the first big Voov Experience party, some of his first psytrance orientated tracks found their way to DJ Antaro, who had just started his label Spirit Zone. The Electric Universe 'Solar Energy' maxi single was the second release on Spirit Zone. It turned out to be a big hit and set the ground for the first album 'One Love' in 1994. More and more parties were taking place and Electric Universe started to play, mainly in Germany at first, later all around the globe. 1997 was the year of the 'Stardiver' album, with the breakbeat monster 'Online Information', which blew away dance floors everywhere. In 1999 guitar player Roland Wedig joined Electric Universe and the result of the first cooperation was the track 'Meteor' on the 'Blue Planet' album. This kicking tune, with its expressive guitar lines was played on practically every party for well over a year and probably is the most often played guitar driven psytrance tune of all times. In 2004 'Cosmic Experience' was released including 'The Prayer', outstanding through the amazing vocals of an Indian prayer. From 2006 to 2011 another 4 full albums were released at his own label Electric Universe Records. At the end of 2013 he joined Belgian label Dacru Records where his legacy continues starting from the 12th full album onwards. With far over 150000 records sold, he's one of the top producers of the scene. The core of the Electric Universe productions and performances has to be its infectious, uplifting energy. It is about bliss and of course to make people dance and enjoy themselves.